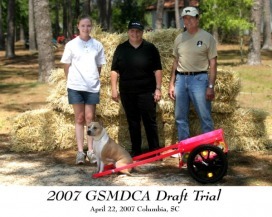 I became involved with drafting in 2006 and since have titled Sniper at the Novice level (NDD) and Rush and Sidle and the Open level (DD). 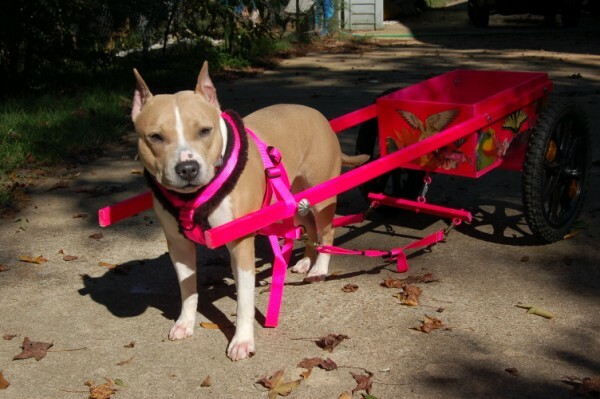 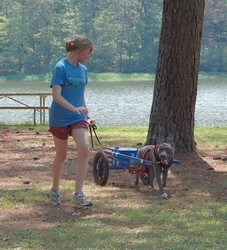 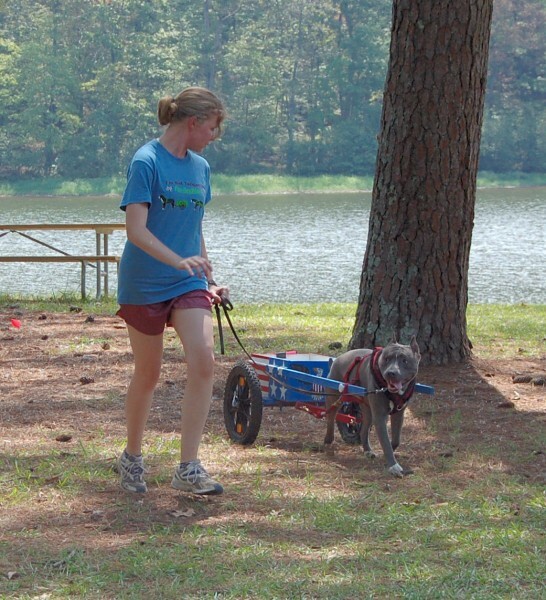 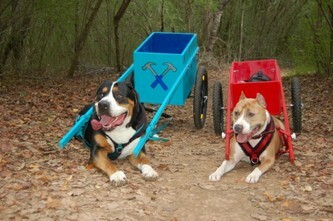 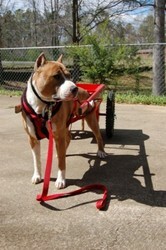 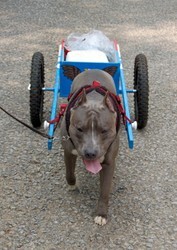 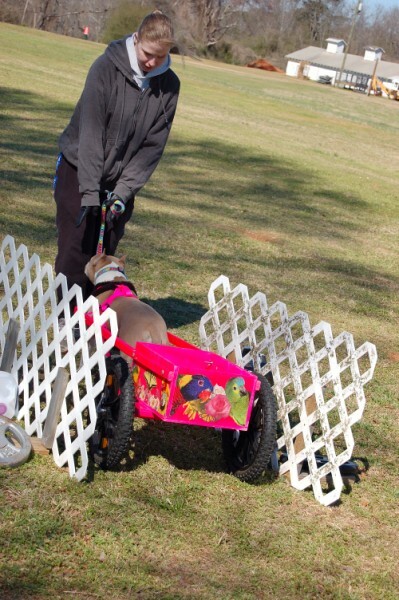 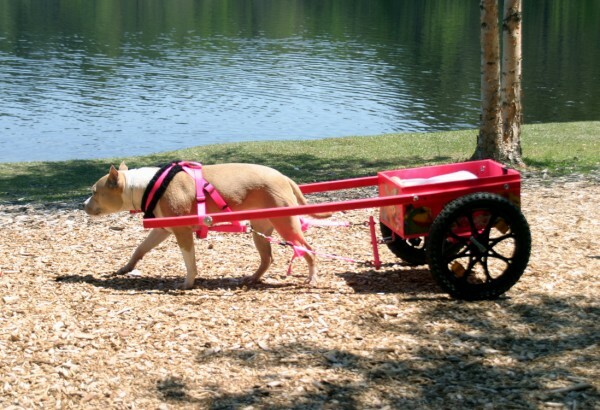 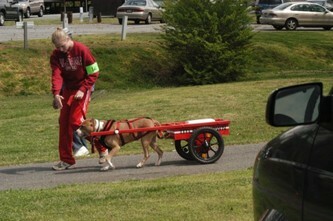 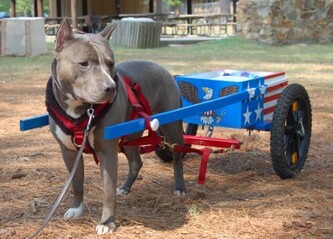 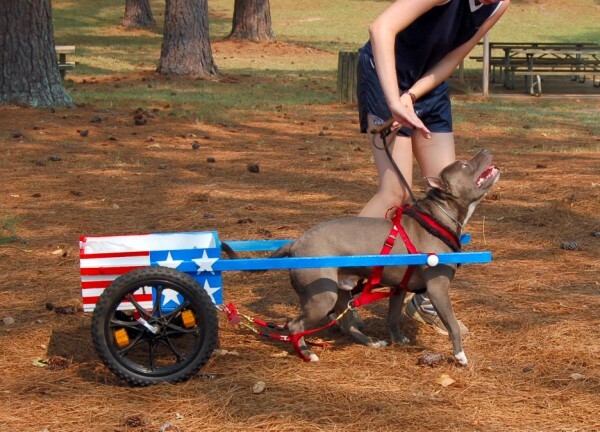 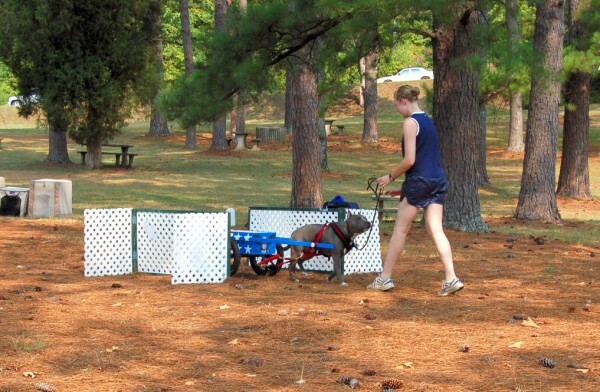 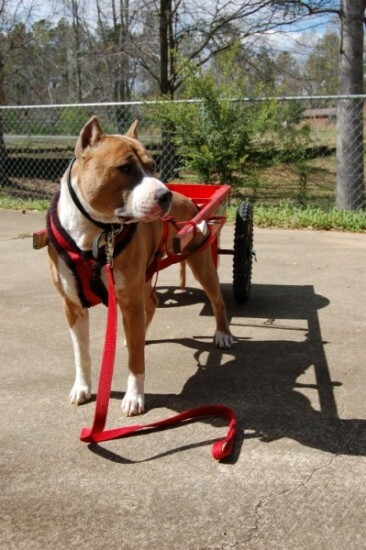 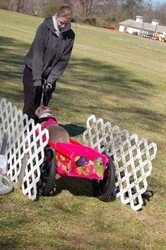 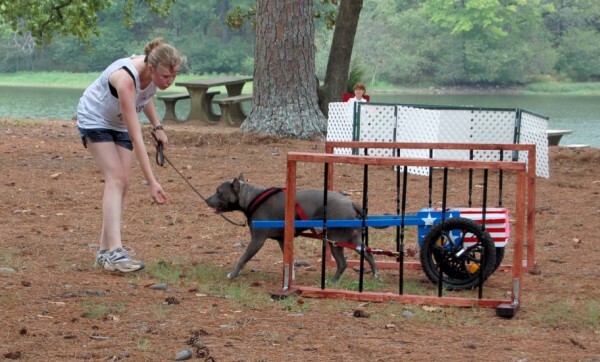 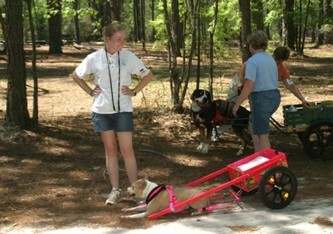 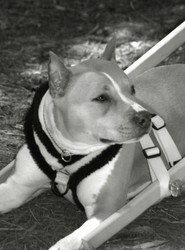 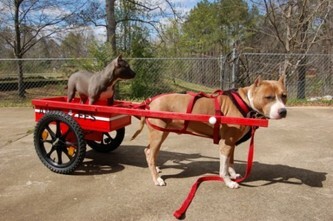 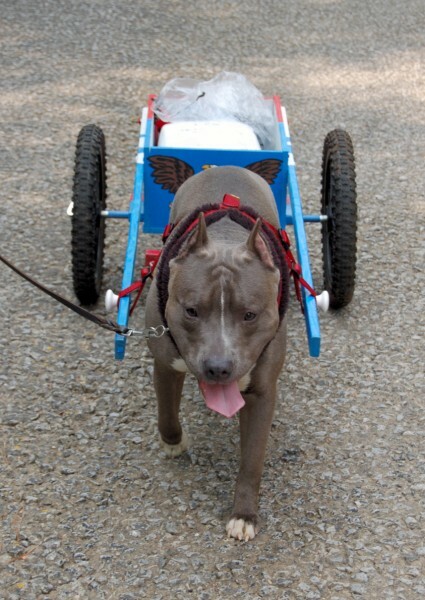 Sniper is pictured drafting in the AKC Gazette Magazine Amstaff breed feature article in November 2007. 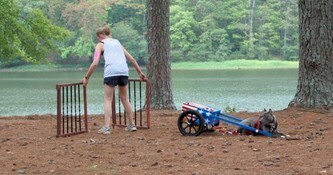 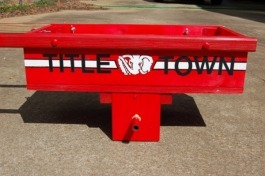 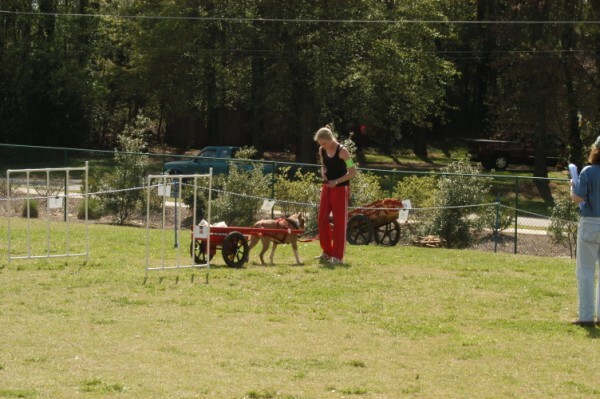 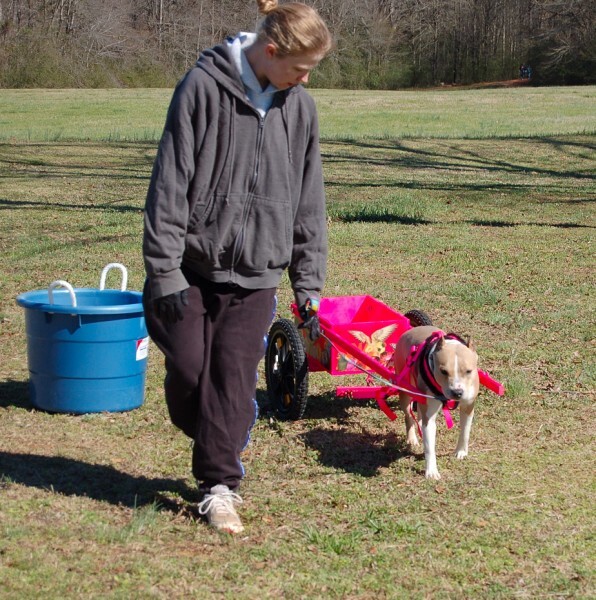 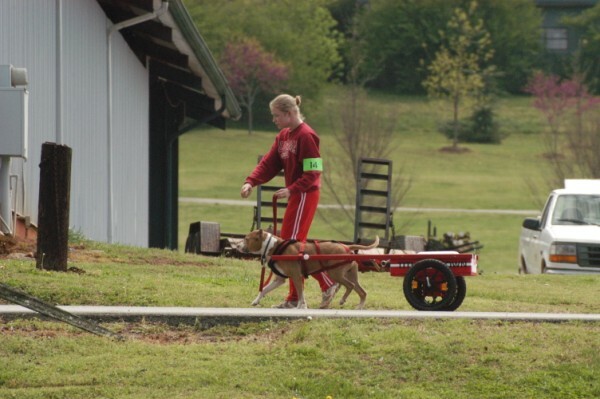 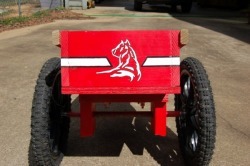 Drafting is a fun sport and the draft test is comprised of 3 parts: 1) a demonstration of basic obedience, 2) the maneuvering course with cart unweighted and 3) the freight haul with cart weighted. 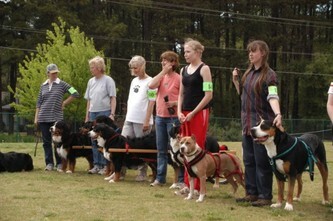 I have drafted in both Bernese Mountain Dog Club of America and Greater Swiss Mountain Dog Club of America Draft Trials. 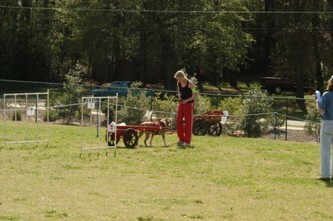 Both sites offer explanations of their trials and training resources. 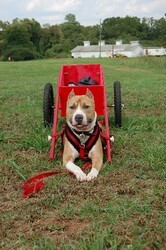 Click here for BMDCA or here for GSMDCA.